Rapid City, SD—02/04/2019— InvestmentNews has recognized Richard Kahler as a 2019 Icons and Innovators honoree. Richard Kahler was chosen from several hundred nominations to make the list of 10 Innovators and one Icon, Sheryl Garrett, founder of Garrett Planning Network. Richard Kahler will officially receive the award at the InvestmentNews 2019 Innovation Summit and Awards Dinner on April 17th in New York City. The half-day Summit will include panel discussions, TED-style talks, and one-on-one interviews followed by an awards dinner gathering the industry’s biggest names and brightest minds. 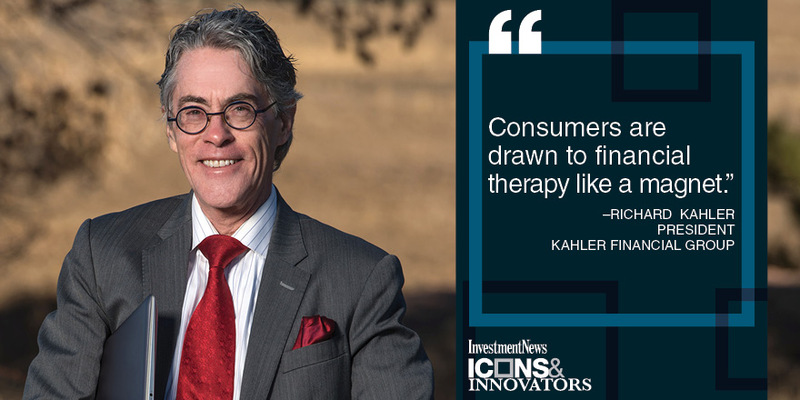 To learn more about Richard Kahler, the 2019 winners and the Innovation Summit, please go to investmentnews.com/icons. InvestmentNews’ headquarters is located in New York, with offices in Chicago and Washington D.C. InvestmentNews is part of London-based Bonhill Group plc. This is awesome! And well earned.